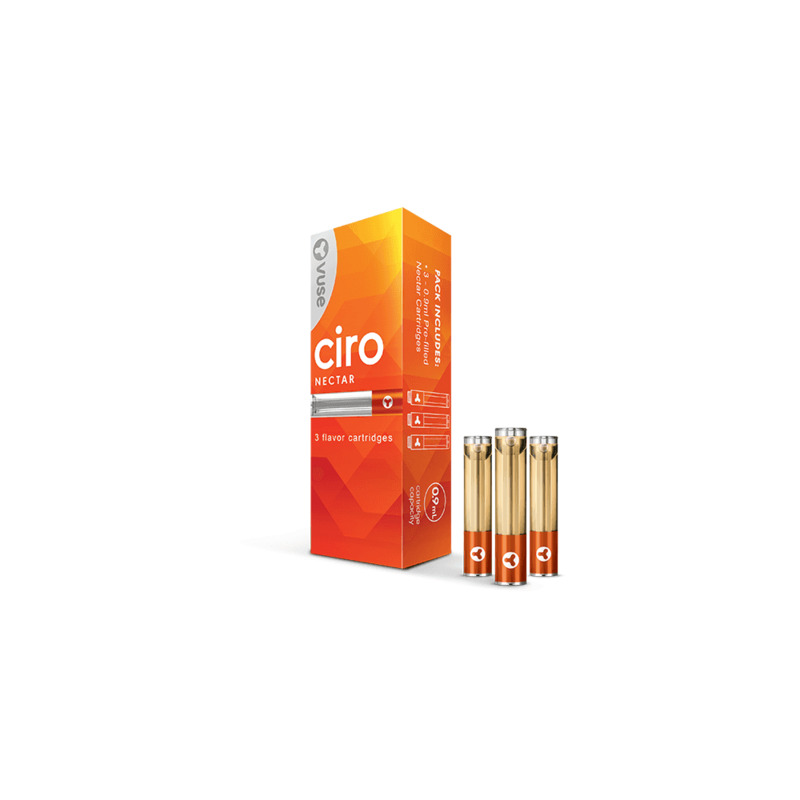 VUSE Ciro Nectar cartridges are refill cartridges for the VUSE Ciro Kit, serving up a medley of velvety summer fruit tones to keep you refreshed and energised. VUSE Ciro cartridges contain 1.5% nicotine (15mg nicotine), giving you delicious smoothness with every inhale. VUSE Ciro cartridges contain VUSE V-Liquid®, which has been expertly blended in the USA by the RJ Reynolds Vapor Co. team, and come in five different flavors: Original (Tobacco), Melon, Mint, Menthol and Nectar. They taste great, but they don’t last long at all! I’m spending way too much on these! Going to a different vape, until they bring the Fuse Vibe back! I quit smoking real cigarettes a year ago with the vibe, and love it! Please bring it back ASAP! These taste great, they last longer than others I've tried. I think these are the best all around, taste, long lasting and economical. They're my go to refills! These are great! They taste good and they last! They seem to burn fast. Good flavor. Easy to replace. I like that there are three in the package.